Although nearly all neighbouring islands are more glamorous than Ios itself, this very island offers a few nice anchorages and the lovely main port is a handy stepping stone when sailing from Paros to Santorini or Amorgos, which again shows that area around Santorini is often an unpractical sailing distance away from the nearest yacht charter base of Paros or Syros, from Athens, Lavrion and Sounion, Ios is usually out of reach. The island of Ios is in the main season overrun by back-packers who all read the same travel guides (i.e. rough guide or lonely planet) and therefore all flock together on what should be considered one of the least interesting islands in the area. For this very same reason also the motor sailer gullets and super yachts (or is it superyachts ?) visit often. 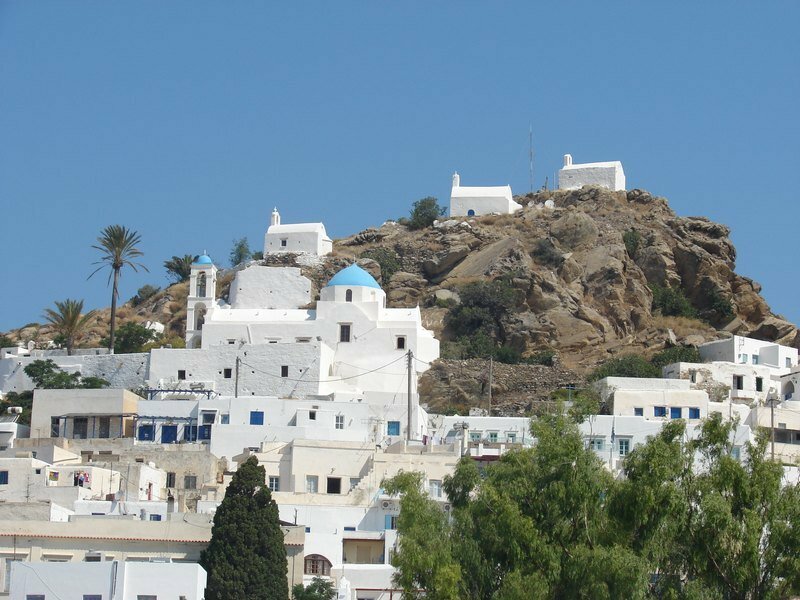 Note that islands like Serifos or Ios are rarely included in this top 10 and even in 2 week or 3 week itineraries there are lots of other options to visit during your sailing holidays in Greece. However, outside the main sailing season, Ios can be really pretty and spending the night here and taking on new provisions makes a lot of sense and indeed lots of recommended yacht charter firms and businesses included this island in there standard (very standard!) sailing routes in Greece and the Cyclades in particular.